Selective COX-2 inhibitors have been associated with increased risk of serious cardiovascular events (e.g. myocardial infarction, stroke) in some patients. 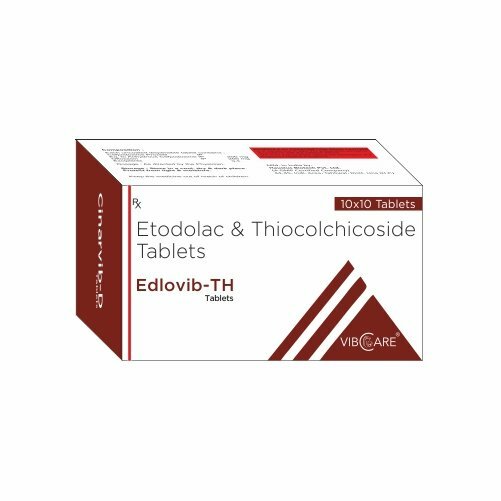 Current data is insufficient to assess the cardiovascular risk of etodolac. Etodolac may increase blood pressure and/or cause fluid retention and edema. Risk of GI toxicity including bleeding, ulceration and perforation. Risk of direct renal injury, including renal papillary necrosis. Anaphylactoid and serious skin reactions (e.g. exfoliative dermatitis, Stevens-Johnson syndrome, toxic epidermal necrolysis) have been reported. Common adverse events include abdominal pain, constipation, diarrhea, dyspepsia, flatulence, GI bleeding, GI perforation, nausea, peptic ulcer, vomiting, renal function abnormalities, anemia, dizziness, edema, liver function test abnormalities, headache, prolonged bleeding time, pruritus, rash, tinnitus. Symptoms of overdose include lethargy, drowsiness, nausea, vomiting, and epigastric pain.